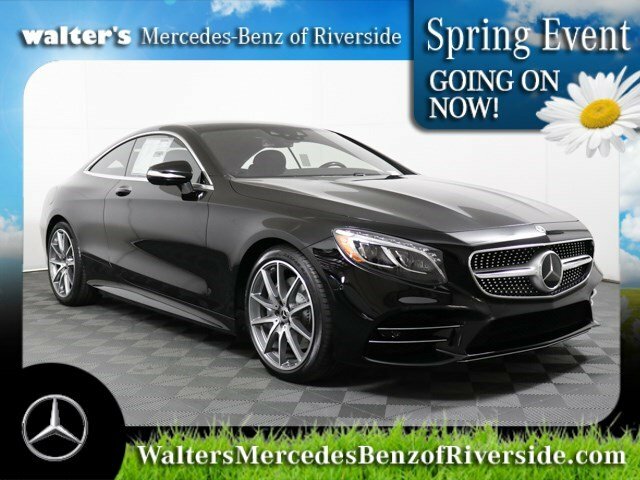 Only 3 S 560 4MATIC® Coupe models left in stock! As the flagship Mercedes-Benz coupe, the S-Class draws from its rich heritage while projecting a brilliant beacon into the future. Sweeping and sleek, it is also a sculpture of tensed muscle from its expressive front lamps and deep front apron to its wide OLED taillamps. Its iconic wide grille presents a modern texture and chrome frame, luring the eye along the twin power-dome hood and over the roof, much as the wind is quickly swept past the coupe's flowing shape. 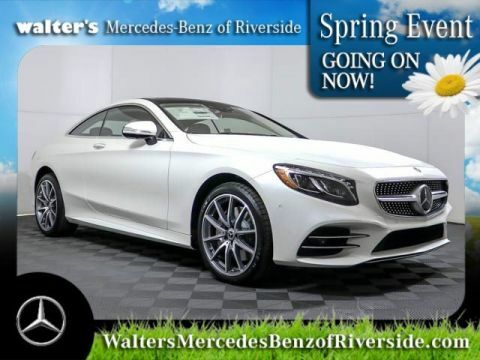 A signature of Mercedes-Benz coupes since the early 1960s, the pillarless profile of the S-Class Coupe presents an uninterrupted span from the windshield to the rakish rear roofline. It's more than a detail of panoramic elegance. It's also symbolic of the unimpeded passion and seamless engineering advancement that make such an aesthetic triumph possible, even as structural integrity increases and weight diminishes. In fact, it's the only coupe that's remained pillarless for more than 50 years. A showcase of advanced technology, the cabin's exquisite craftsmanship and design raise modern art and timeless comfort to simultaneous pinnacles. Four individual seats are swathed in Nappa leather and surrounded by topstitched upholstery on nearly every surface. Exotic, handcrafted wood trim, in a delectable array of options, is accented in satin aluminum. And every surface is rendered in three dimensions, to envelop the four occupants in style that's equally appealing from any angle. Advanced performance comes from a higher-output yet more compact 4.0L biturbo V 8. With 463 hp, it's more powerful than its predecessor, matches its 516 lb-ft of peak torque and outperforms it in both responsiveness and responsibility. Racing-derived technology ranges from its turbocharger layout to its low-friction NANOSLIDE(R) cylinder walls. And its high-pressure Direct Injection and rapid-multispark ignition can self-tune on the fly with millisecond speed and molecular precision. In any season, on any road, 4MATIC(R) all-wheel drive adds to your confidence and control. Always engaged and optimizing torque to every wheel, 4MATIC integrates with ESP(R), our standard Electronic Stability Program, for maximum effectiveness in corners and slippery conditions. It also incorporates our 4-wheel Electronic Traction System (4-ETS(R)), which monitors for the first sign of wheel slip and responds to ensure torque is sent to the wheels with the best grip, even if that's only one wheel. With a greater range of ratios and shorter steps between gears, the 9-speed automatic changes gears more quickly but nearly imperceptibly. 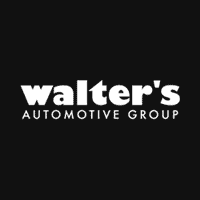 Along with a more seamless delivery of power, the lighter, more versatile transmission enhances quiet riding comfort and fuel-efficiency. The electronic selector and shift paddles let you control all gear changes with your hands on the steering wheel. And drivers can vary the shift modes via the innovative DYNAMIC SELECT system. Intuitive and artfully sculpted, seat-shaped controls help you and your front passenger find your ideal seating positions with 16-way power adjustment, including cushion length and 4-way power lumbar support. A memory system for each front seat recalls three stored seat positions with the touch of a button. The driver-seat memory also includes the power steering column and side mirror positions. 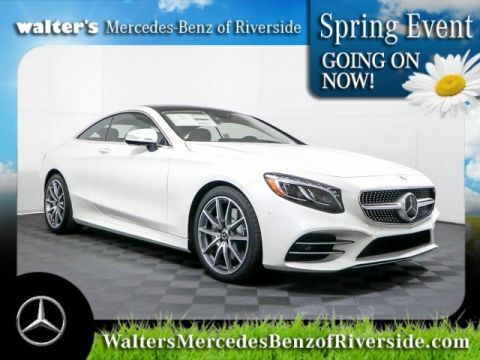 Let the 2019 Mercedes-Benz S 560 4MATIC Coupe impress you in person today at Walter's Mercedes-Benz of Riverside located at 3213 Adams St. Riverside, CA 92504.